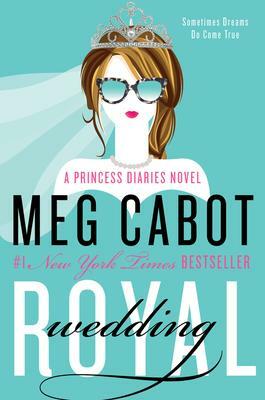 From the #1 New York Times bestselling author of the Princess Diaries series, comes the very first adult installment, which follows Princess Mia and her Prince Charming as they plan their fairy tale wedding--but a few poisoned apples could turn this happily-ever-after into a royal nightmare. For Princess Mia, the past five years since college graduation have been a whirlwind of activity, what with living in New York City, running her new teen community center, being madly in love, and attending royal engagements. And speaking of engagements. Mia's gorgeous longtime boyfriend Michael managed to clear both their schedules just long enough for an exotic (and very private) Caribbean island interlude where he popped the question! Of course Mia didn't need to consult her diary to know that her answer was a royal oui. But now Mia has a scandal of majestic proportions to contend with: Her grandmother's leaked "fake" wedding plans to the press that could cause even normally calm Michael to become a runaway groom. Worse, a scheming politico is trying to force Mia's father from the throne, all because of a royal secret that could leave Genovia without a monarch. Can Mia prove to everyone--especially herself--that she's not only ready to wed, but ready to rule as well? For Princess Mia, the past five years since college graduation have been a whirlwind of activity: living in New York City, running her new teen community center, being madly in love, and attending royal engagements. And speaking of engagements. Mia's gorgeous longtime boyfriend, Michael, managed to clear both their schedules just long enough for an exotic (and very private) Caribbean island interlude where he popped the question! Of course, Mia didn't need to consult her diary to know that her answer was a royal oui. But now Mia has a scandal of majestic proportions to contend with: her grandmother has leaked "fake" wedding plans to the press that could cause even normally calm Michael to become a runaway groom. Worse, a scheming politico is trying to force Mia's father from the throne, all because of a royal secret that could leave Genovia without a monarch. Can Mia prove to everyone--especially herself--that she's not only ready to wed, but ready to rule as well?